RUI offers a wide range of products aimed at professionals and lovers of military, police and security sectors. 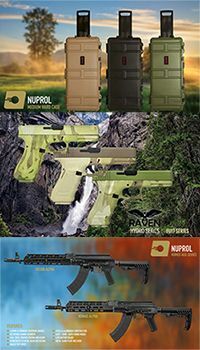 In our product catalog you will find wide variety of knives, knives, axes, machetes and other tactical items, made of quality materials and developed so you can use them in extreme conditions. Our goal is unique and of course, meet your needs as a consumer and user of our products. In 1990, the company created by D. José Martínez started its business dedicated to the distribution of traditional cutlery, but also extends to the ornamentation and other items that tourism demand. The concept of improvement and expansion has always been pursued by the company, which leads us to create a large network of national and international distribution and devote significant human and financial resources to research and develop products that meet the demands of market. This important fact allows us to constantly renew and expand our range of products and become Distributors of major brands. Today we are a pioneering company that has a great infrastructure and commitment to innovation, quality and service to our customers, we are always grateful.